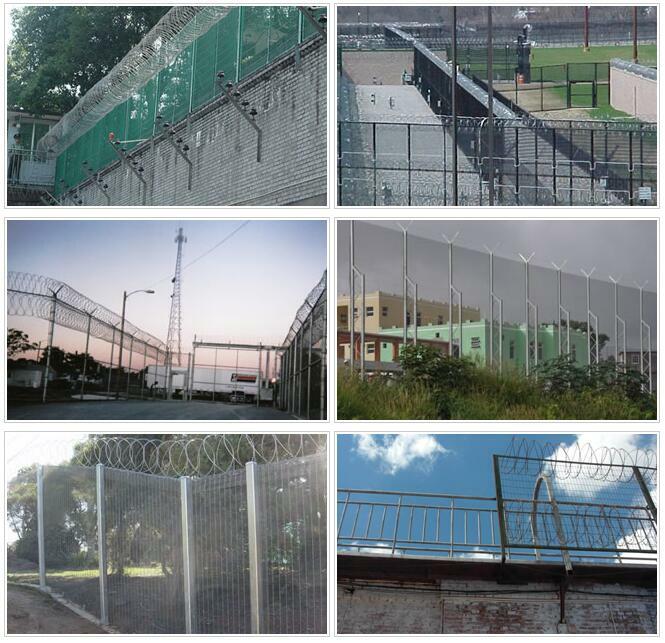 Prison Fence - Buy Prison Fence Product on Anping Pengming Hardware Mesh Co.,Ltd. Material: Galvanized steel sheet, stainless steel sheet, stainless steel wire. Process and Features: Galvanized steel plate or stainless steel plate punched into certain forms then attached to the steel wire in sharp angle to form the blades. The products offer beautiful appearance, economic cost, good frightening result and easy installation. Sharp blades coming in the form of concertina by buckles bring very good result of frightening and stopping to the aggressive perimeter intruders. 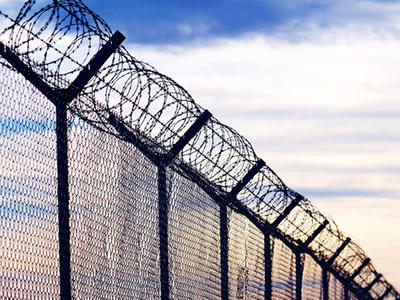 Razor wire is divided into spiral, straight line and crossed spiral types.